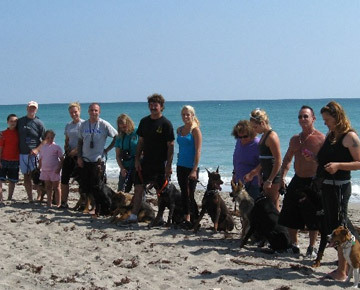 The Florida Dog Academy is a dog training school in Florida. We employ professional dog trainers who are focused on client safety and satisfaction. We train top-of-the-line German Shepherd dogs for various service applications in the private and government sector. We know that you expect the best from a professional dog training school in Florida. We also know that you expect the best from a dog training facility. Our dog training school operates out of a modern facility with experienced trainers on duty. 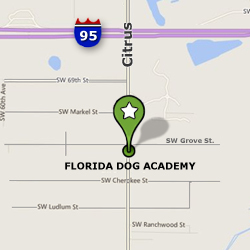 The Florida Dog Academy has over 40 years of experience in the animal training industry. Whether you are seeking a working-line or a show-line dog, or simply a furry and friendly companion to include in your family, the Florida Dog Academy has them all. 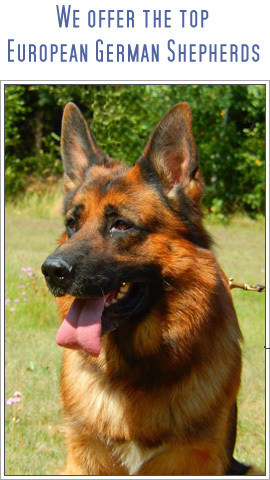 We offer the top European German Shepherds in Florida. Additionally, we offer a wide variety of programs that range from basic obedience to search and rescue, and much more. "Florida Dog Academy is here to create bonds that will last forever!" We are focused on client security and safety as well as teaching people how to train and tame your wonderful pet. We will share our knowledge and wisdom with you to the fullest extent so that you can become a dog trainer too! We have worked together with both Military and Law Enforcement Agencies in the past, abroad and within the United States, providing excellent quality services to our Governmental contractors. "We speak English, German, Spanish and Chinese!"